The landmark judgment will have implications on the minority character case of Aligarh Muslim University pending in the Supreme Court as well as Jamia's case in the Delhi high court. In any democratic society, the constitutional impulse for giving some special rights to minorities stems not from the desire to create a ‘pampered’ or ‘appeased’ section of population but to give to them a sense of security and confidence. The issue of minorities in a plural and diverse polity like India’s evolves from the basic reality of tension and dialectics between the unit and the whole or the individual and society. Today, minority institutions are coming under threat with the BJP-led government changing long-standing official policy on, for example, the minority character of Aligarh Muslim University (AMU) and Jamia Millia Islamia. The erstwhile UPA government had gone in appeal to the Supreme Court against the Allahabad high court decision in Naresh Agrawal (2005) in which it denied AMU’s minority character and struck down a few provisions of the 1981 amendment to the Aligarh Muslim University Act, 1920. The Modi government has not only withdrawn this appeal but submitted a fresh affidavit stating that AMU is not a minority institution. Similarly, the current government has reversed its predecessor’s stand in the Delhi high court in support of the National Council for Minority Educational Institutions (NCMEI) recognising Jamia as a minority university. In an important judgment last month, the two judge bench of Justice Adarsh Goel and Justice Rohinton Nariman has given a new lease of life to the virtually defunct NCMEI, established by parliament in 2004, by reaffirming its power to decide on the minority status of an established educational institution. Since different high courts have given contrary judgments on the original jurisdiction of the NCMEI, the latest ruling has an added significance. The case before Justices Goel and Nariman involved the validity of the NCMEI’s decision to accord minority status to a college in West Bengal that had originally been established by a Christian organisation as a secular, non-minority educational institution. The Calcutta high court had invalidated the NCMEI’s grant of minority status to the college and this decision was appealed in the Supreme Court. The apex court’s judgment is historic as it has reiterated that no fundamental right – including the rights of minorities – can be waived. For example, no one can waive her right to life. Thus, even in the latest judgment on euthanasia, the Supreme Court did not permit the right to die but allowed only passive euthanasia with a number of safeguards in rare situations. Fundamental rights being natural rights must be possessed by all human beings at all points of time. No person can say ‘I do not want these rights’. and therefore waiver of fundamental rights is not permissible. A religious or linguistic minority in India can choose to establish and run an educational institution on a non-minority basis but it cannot lose its right to change its mind and assert its minority character on a subsequent date. The judgment has implications on the minority character case of Aligarh Muslim University pending in the Supreme Court. Similarly, since the NCMEI’s original jurisdiction has now been upheld by the Supreme Court, JMI’s case in the Delhi high court – where the commission’s decision giving the university minority status is under challenge – will get a boost as the NCMEI’s jurisdiction can no longer be disputed. Regrettably, the NCMEI has been headless for the past four years or so as the Modi government has not appointed a regular chairman after Justice M.S.A. Siddiqiui’s term ended on December 17, 2014. Even the National Minorities Commission had too many vacancies for years together. The BJP as a party is not in favour of these commissions. and perhaps favours the National Human Rights Commission under its slogan of ‘justice for all and appeasement of none.’ The chairman of the four-member NCMEI has to be a former high court judge. Since it is a quasi-judicial body, any decisions taken by it in the absence of its judicial member can be easily challenged as its proceedings are deemed to be judicial proceedings under the NCMEI Act. Today, one of the three positions for (non-judicial) members remains unfilled. Until March 2017, the journalist Zafar Agha, who was one of the members before his term ended, officiated as chairman and functioned with great efficiency. In 2007, the commission heard 2913 cases in its 77 sittings but in 2016-17 heard as many as 4530 cases in 177 sittings of commission. Till 2017, the NCMEI has cumulatively issued minority status certificates to 13,331 institutions. The NCMEI Act was one of the first laws the newly-elected UPA government enacted as part of the ‘rights regime’ ushered in by it in 2004. The commission was originally given the mandate of facilitating direct affiliation of a minority institution to six central universities listed in the schedule. Two subsequent amendments further broadened its powers and mandate. The NCMEI did remarkable work under the decade long chairmanship of Justice Siddiqui. The apex court’s latest verdict has settled a few contentious issues that arose in the course of the NCMEI’s work. These include (1) whether a minority institution initially established as a secular institution can subsequently claim minority status; (2) whether minority rights be waived; and (3) the true scope of the NCMEI powers of NCMEI. The question arose because of a conflict between the Allahabad high court, which held that the commission has original jurisdiction to give minority status, and the Calcutta high court, which has observed that it has no such jurisdiction. The communalised debate over minority rights in India ignores the fact that the constitution talks of two kinds of minorities – religious and linguistic. Since minorities are defined at the state level, Hindus are a religious minority in Kashmir, Punjab and some north-east states but a section of them – depending on their mother tongue – can enjoy the status of a linguistic minority in all other states.There are thus hundreds of minority educational institutions in India that cater to the rights of citizens who happen to be Hindus. Tamils as a linguistic minority, for example, can set up minority institutions in all other states and going by the religious composition of Tamils, the bulk of those who would attend these institutions would be Hindus. In other words, the propaganda of rightist forces that the right to minority educational institutions is available only to religious minorities and not to Hindus is really mischievous and far from truth. The fundamental right of minorities to set up their own educational institutions benefits Indians of all religions depending on which state they happen to live in. While it is true that the Central government has not so far notified any linguistic minority as a minority under the NCMEI, such a notification is not needed as linguistic minorities are to be defined at the state level. This author is of the view that the minority status of a community in any given situation is a matter of fact and does not depend on recognition by law. This is what the apex court itself has held in the N. Ahmad case (1998), as did the Permanent Court of International Justice in the Minority Schools in Albania case (1935). It is due to the lack of farsightedness of state governments in the Hindi belt that the problem assumes communal over-tunes. In the southern states of Telangana, Andhra Pradesh, Karnataka, Tamil Nadu and Kerala, one finds hundreds of minority professional/ technical colleges. India’s dream of achieving the status of a developed country cannot become a reality if its minorities in general and Muslims in particular remain uneducated. Prime Minister Modi himself had admitted while talking of minorities that if any part of the body is diseased, we cannot call it a healthy body. By establishing educational institutions of secular education, minorities assist the government in implementing the citizen’s right to education. Moreover, in these minority institutions, a large number of non-minority students also receive modern and liberal education. The establishment and administration of minority educational institutions is therefore a matter of national interest. If we don’t want Muslims to go to madrasas, we must facilitate the establishment of more and more minority institutions which will provide modern education. The need for a statutory mechanism arose as a number of states were – and, in fact, still are – creating hurdles in the establishment of minority educational institutions. Minority institutions also faced a number of obstructions in their affiliation with universities and recognition of their minority character by state governments. In one instance in Uttar Pradesh, minority status was refused in spite of the decision of the high court. In fact, the Allahabad high court has even held – in Committee of Management Anjuman (2007) – that Muslims are not a minority in UP. Justice S.C. Srivastava, who authored this judgment, was subsequently appointed Lokayukta by the BJP government in Chhattisgarh. Many state governments still do not have any rules for recognition of institutions as minority institutions. The Central government has also not issued any comprehensive guidelines for the recognition of minority institutions. That is why a statutory commission was given the task in 2004 of determining the minority status of educational institutions in cases where a state government refuses or sleeps over the ‘no objection’ request for the establishment of a minority educational institution. The NCMEI Act clearly lays down that the commission will have the power to intervene in such cases. In fact, the Act gives state governments 90 days to take a decision one way or the other; if it fails to clear the file in that period, ‘no objection’ shall be deemed to have been given. In several cases, an institution was not recognised as a minority institution just because some members of the managing committee did not belong to the minority which had established the institution. This, even though the Supreme Court has held that a minority institution may take the help of other communities in its governing body. In certain cases, state governments have denied minority status to educational institutions on the ground that the aims and objectives of the societies/trusts setting them up did not clearly specify that they were meant to serve the interests of the minority community. The irony is that in these states, when members of the minority community apply for registration of their society, the Registrar of Societies typically insists on changing the memorandum of association to exclude any reference to minority. This is the strategy through which many state governments have successfully prevented the establishment of of minority educational institutions. If the state is ruled by the BJP, the situation worsens in no time and the establishment, affiliation and recognition of minority educational institutions become a herculean task. A number of minority institutions similarly face enormous problems in getting approval from the Income Tax department under section 80(g) which provides for exemption of donations from payment of income tax. Many tax officers have ruled that religious minority institutions are not eligible for such exemption. This has resulted in preventing the institution concerned from raising the requisite resources. In the West Bengal case settled last month, the Sisters of St. Joseph of Culny and several other parties including the NCMEI were before the apex court. The 1973 memorandum of society which established St. Joseph of Culny did refer to its purpose amongst others “of establishing schools/colleges etc. primarily for the Catholics but also for others irrespective of religion, race, caste, community or social status”. In 1997, this society made an application to North Bengal University that it wanted to establish a secular college and did not want minority status. The West Bengal government gave its approval for the establishment of a secular institution and the first governing council was accordingly constituted. In 2004. North Bengal University gave permanent affiliation to the college. However in 2007, the college sought minority status from the NCMEI. The NCMEI, in an ex-parte order, upheld the college’s minority status and a certificate to that effect was issued. The NCMEI subsequently dismissed the (review) application of North Bengal University in 2009. When the matter went to the Calcutta high court, both the single judge as well as divisional bench held that the NCMEI has no original jurisdiction to determine the minority status of an institution and thus invalidated the certificate issued by it. The Supreme Court in its latest judgment has not only upheld the NCMEI’s powers of original jurisdiction but also the power to intervene at any stage if the rights of minority educational institutions are violated. The court also dealt at length with the original decision to establish a non- minority and secular institution and the subsequent decision to convert the college into a minority institution. It rightly held that fundamental rights can never be waived and, therefore, that the subsequent assertion of the institutions minority character is perfectly legal. In one of its most regressive and legally flawed judgments in respect of Aligarh Muslim University case (Azeez Basha, 1968), the apex court had reached the conclusion – without any historical basis – that in exchange for the recognition of its degrees, the founders of MAO College had surrendered their minority character in 1920. In St Xaviers (1974), a nine judge bench categorically observed that fundamental rights can neither be waived nor can any future generation be bound by any such waiver. Thus, Muslims can legitimately assert their right to administer AMU. The Supreme Court’s latest judgment will also have significant bearing on the ongoing case before the Delhi high court about the minority character of Jamia. The NCMEI order upholding Jamia’s minority character is being disputed by the Modi government. The commission in its detailed order on Jamia had clearly noted that JMI had been a degree conferring institution from its very inception and no new institution was established by the 1988 Act. Jamia’s minority character thus has got a boost as the NCMEI was clearly well within its statutory powers to determine its minority character. Of course, the apex court’s latest judgment does not mean that the NCMEI’s decisions are final. There can still be appeals against its decisions in the high courts and Supreme Court. 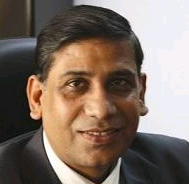 Faizan Mustafa is Vice-Chancellor NALSAR University of Law, Hyderabad. The views expressed are personal.